Born in the cold state of Washington, raised under the perfect weather of Southern California. She earned her Bachelor's degree in Human Biology at University of California, San Diego. During her free time she enjoys listening to music, long bike rides, and spending time with family. Gaby is fluent in Spanish. Lynn recently graduated from University of California, San Diego with a BS in Human Biology ! She’s a dessert enthusiast and spends her free time at concerts and festivals with her friends. She also enjoys doing modern calligraphy and finds happiness when around dogs. If you see her in the office, don’t be afraid to say hello! Johnathan is New Optix's lab technician. He specializes in lens cutting, tinting, frame repairs and adjustments. Originally from Indianapolis and growing up in Pittsburgh, Johnathan came to San Diego in 2006 upon joining the United States Navy. 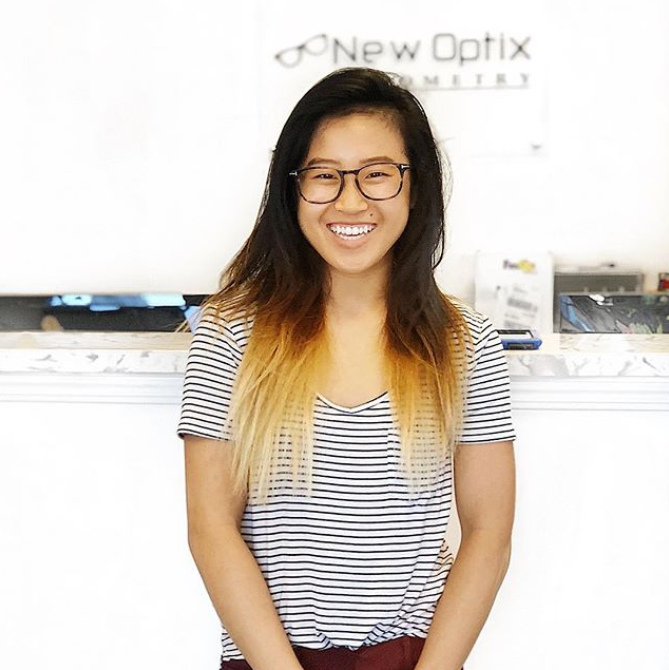 Kim graduated from UC San Diego with a BA in Cognitive Science She loves photography and takes awesome pictures and is dipping her toes into videography. She’s definitely a boba enthusiast and adventure-goer! 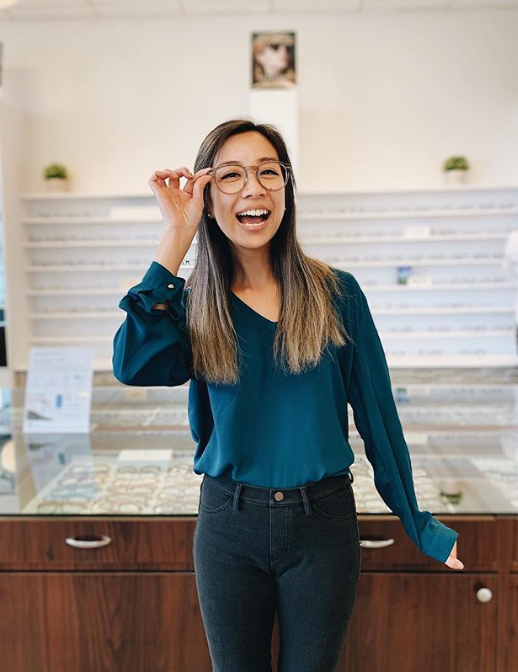 With her bubbly personality and obsession with glasses, she fits so perfectly well with our office! She is also fluent in Vietnamese. Dr. Mini Ta attended the University of California, Irvine where she received her Bachelor in Public Health Science in 2008. She received her Doctorate of Optometry degree from the Illinois College of Optometry in May 2014. Dr. Ta spent a portion of her rotation at the Las Vegas VA specializing in a variety of ocular disease such as glaucoma, diabetic retinopathy, optic neuropathy,and hypertensive retinopathy. 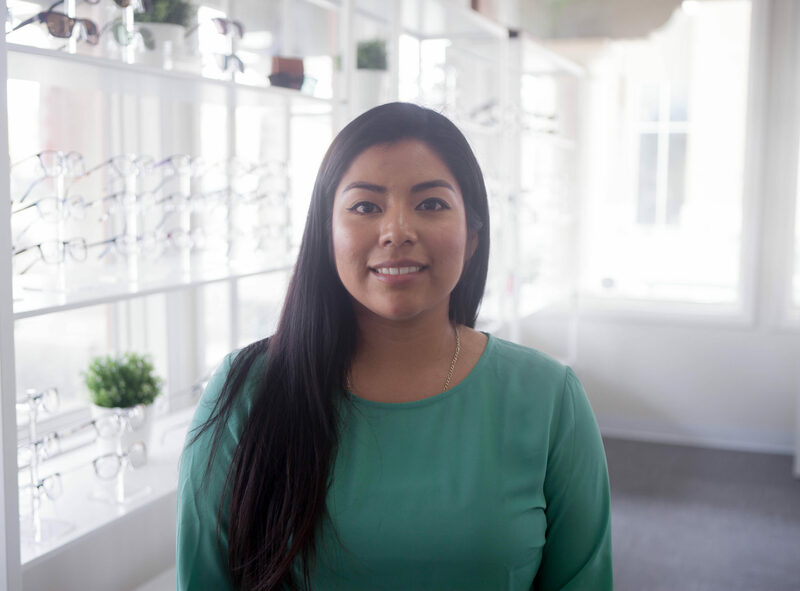 She completed her rotation at the Illinois Eye Institute specializing in specialty contact lenses, pediatric care along with primary care optometry, and low vision. Lastly, she finished her rotations in New York at the Brooklyn VA where she specialized in treating and managing patients with various retinal diseases including glaucoma and diabetic retinopathy. Dr. Ta is presently licensed as a Therapeutic Optometrist and is certified to manage and treat glaucoma. She provides comprehensive eye care for patients of all ages along with treating and managing dry eyes, red eyes, and anterior/posterior ocular diseases. Along with soft contact lenses, she also fits specialty contact lenses made specifically for each individual patient. Dr. Ta grew up in Saipan, which is part of the Marianas Islands in the Pacific. Feel free to come in and ask Dr. Ta more about this tiny island she calls her home. On her free time, she enjoys eating at different restaurants, traveling, the beach, and spending time with family and friends. Dr. Tran received his Bachelor of Science degree from the University of California, Irvine in 2005. He graduated from the Illinois College of Optometry in 2012, after completing internships at the VA Hospital in Las Vegas, NV and Daytona Beach, FL where he specialized in geriatric ocular diseases such glaucoma, age-related macular degeneration, diabetic retinopathy, and cataracts. 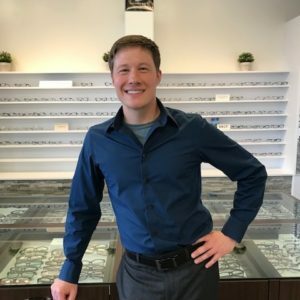 He also completed an internship at the Optometric Vision Development Center in La Jolla, CA, where he received honors in his clinical experience. At this site, Dr. Tran created individualized treatment programs designed to correct visual-motor and/or perceptual-cognitive deficiencies in children and adults. Dr. Tran also has a considerable amount of experience with low vision and specialized contact lens fitting at the Illinois Eye Institute.